This chart will help you choose the table size that’s best for your playing area. 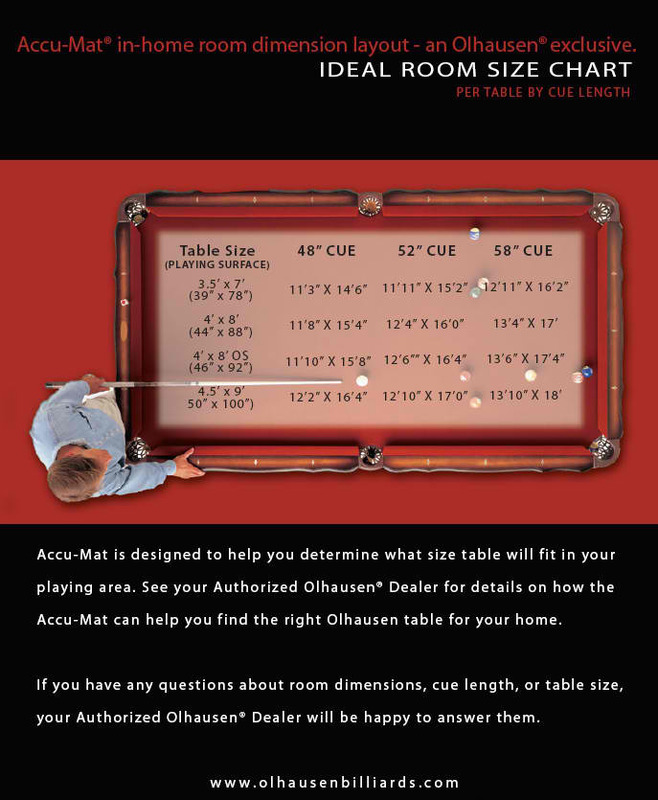 (The 4′ x 8′ is by far the most popular size table for the home and the standard cue length is 57″.) If you have any questions about room dimensions, cue length or table size, we will be happy to answer them. Ask us about our convenient Olhausen Accu-Mat.